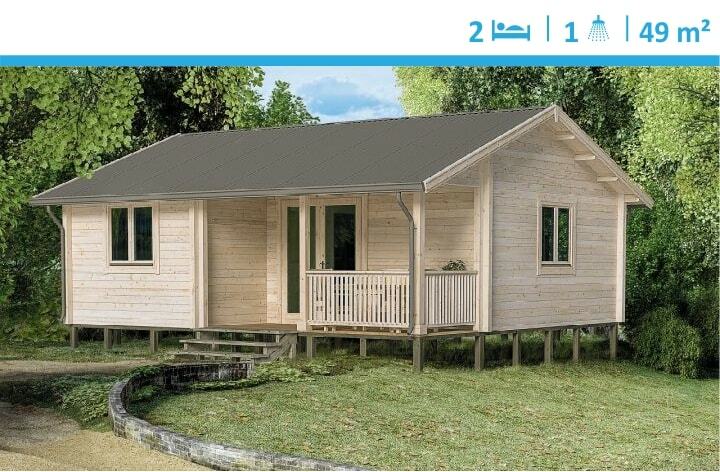 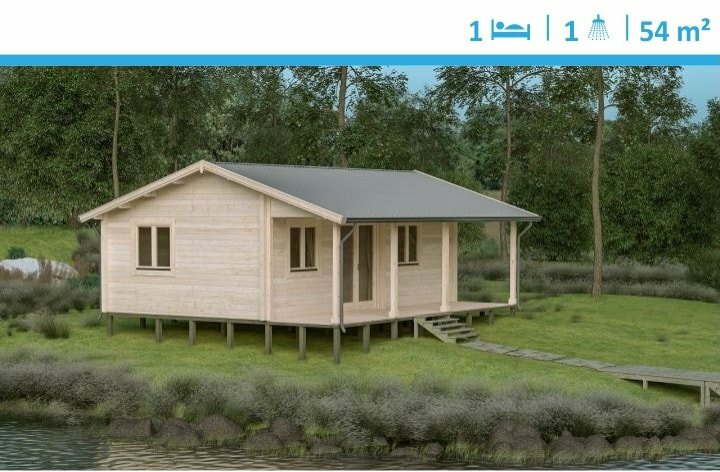 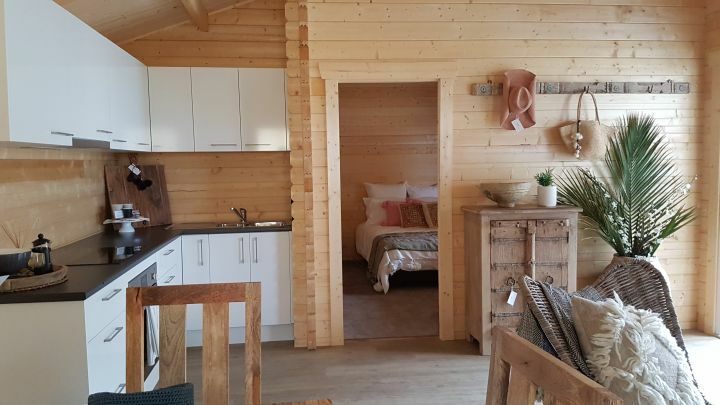 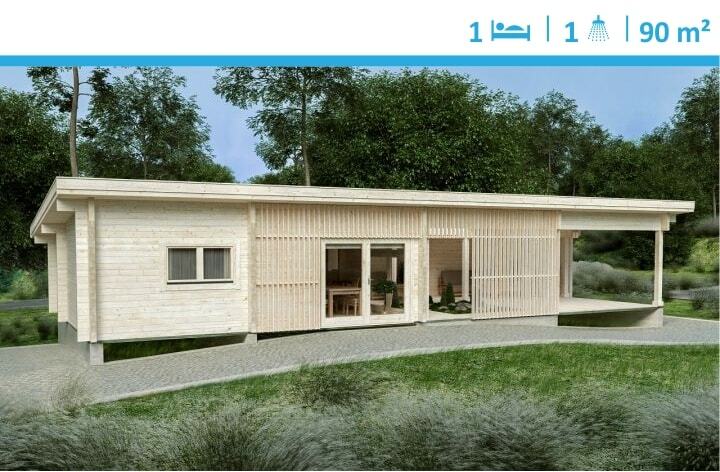 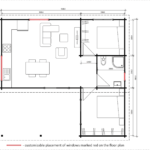 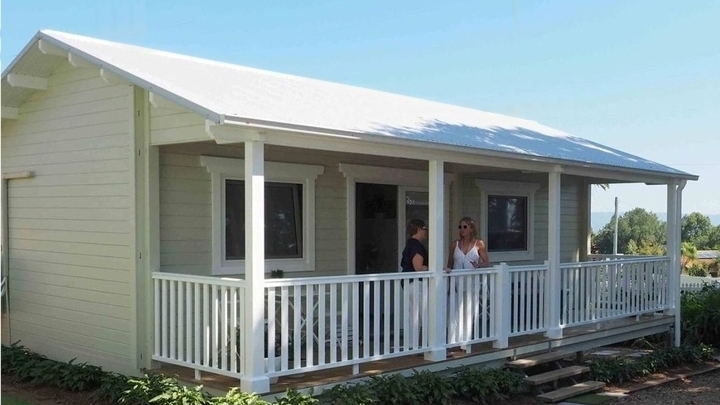 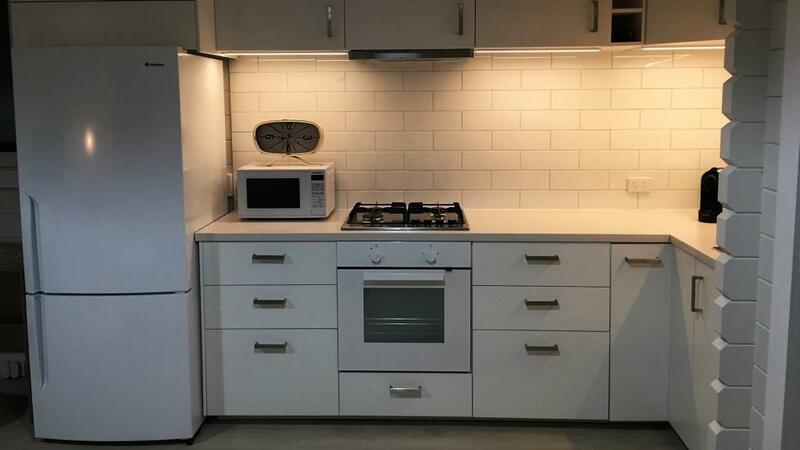 Iceland (9.2 m x 8.7 m) is an incredibly well laid out contemporary 2 bedroom granny flat. 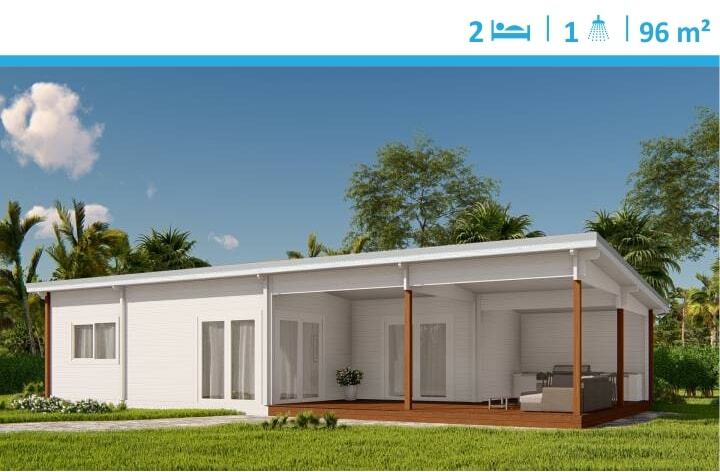 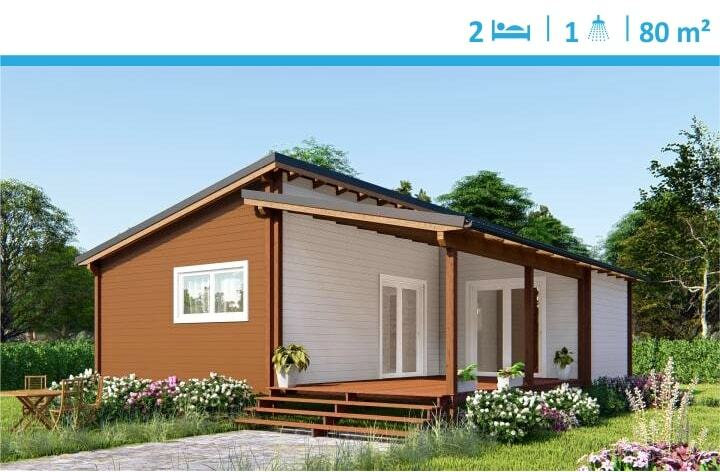 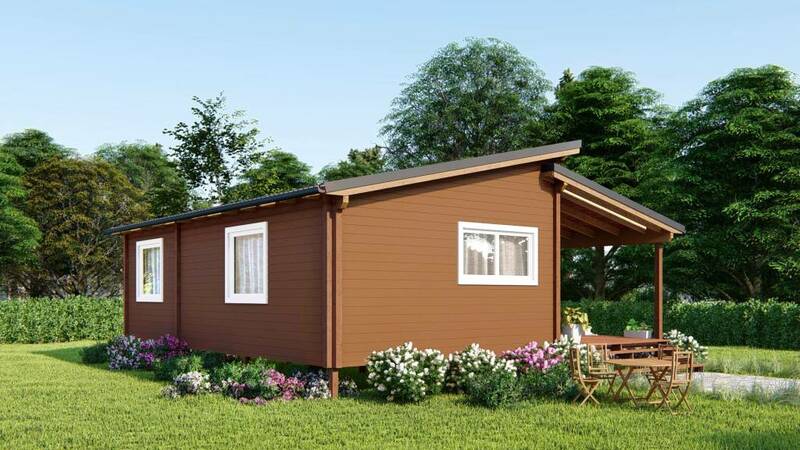 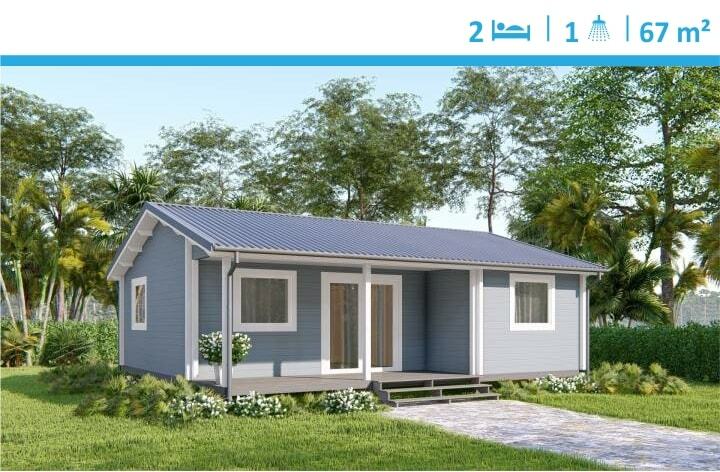 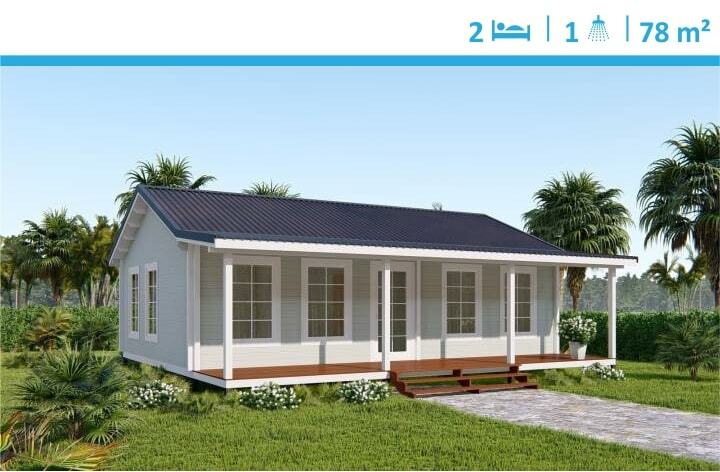 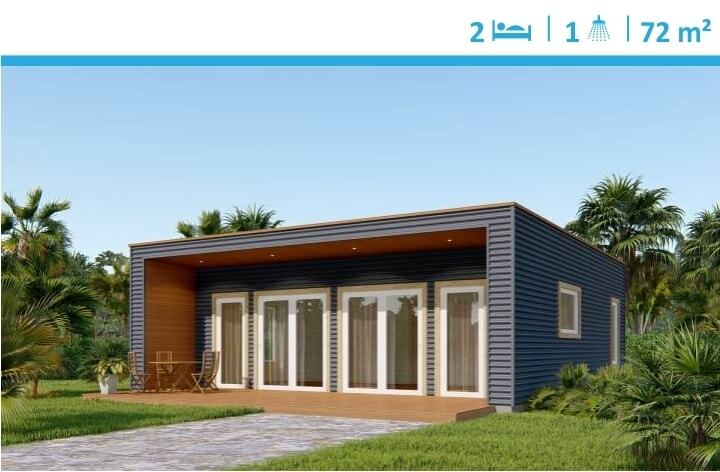 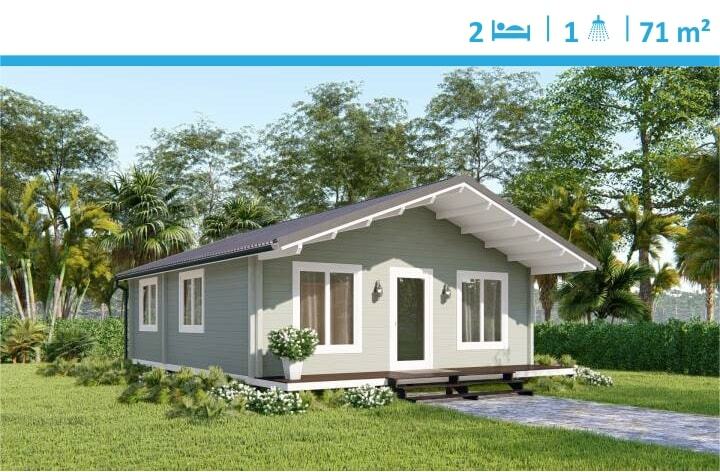 This design has 2 spacious bedrooms separated with a generous size bathroom. 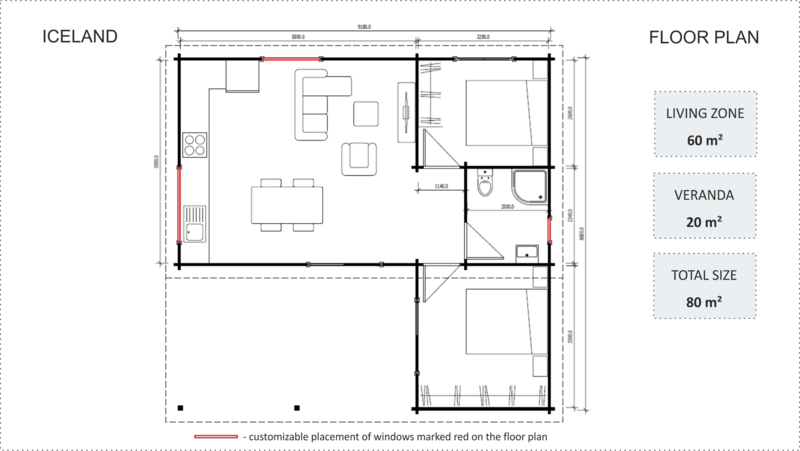 Open plan living, dining and kitchen area seamlessly brings the outdoors through the abundance of windows. 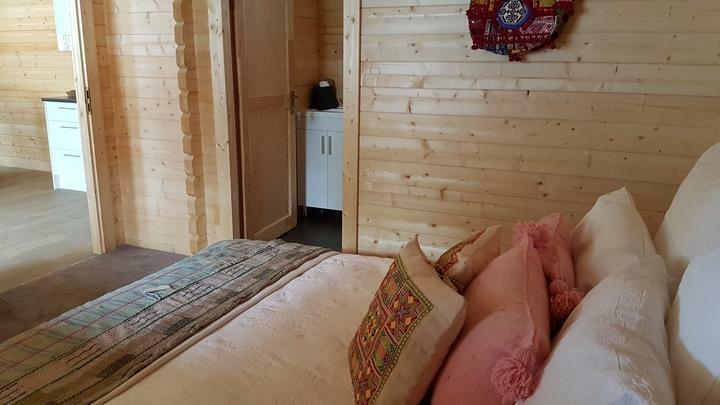 One of the bedrooms allows you to step down onto the veranda for that perfect start of your day with a comforting morning cuppa. 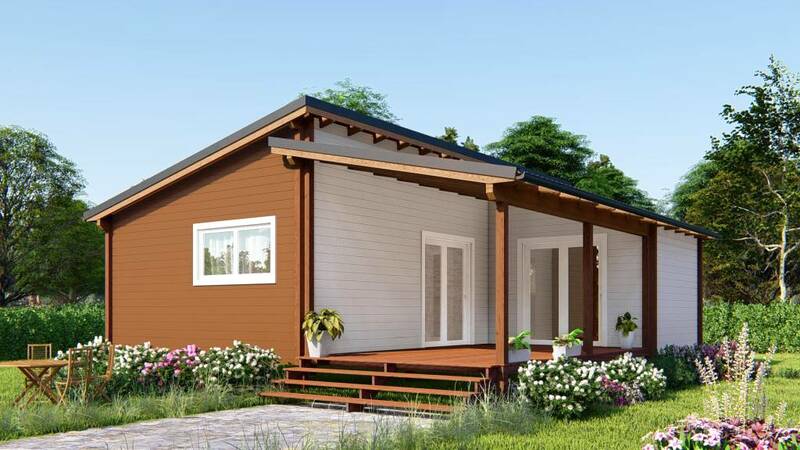 Natural timber and top preforming double glazed windows and doors will provide you with a comfortable living. 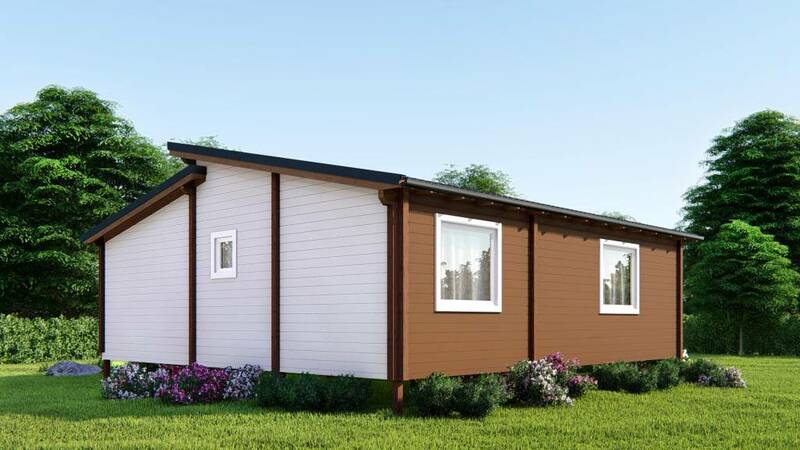 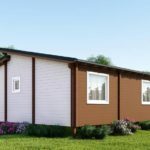 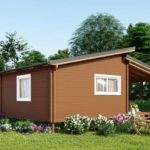 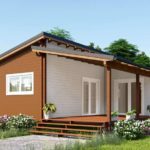 This building may be assembled in 4 days saving your money and time in building process.